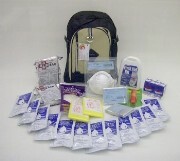 We have designed this Quick Grab-n-Go Survival Kit for 2 Persons to be ready and prepared when disaster strikes. Grab n Go and get to safety. 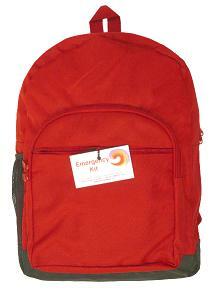 This kit has been designed to include the most important survival items in a compact backpack at very affordable cost. It's size allows for easy storing at home, office or in the car. This Quick Grab n Go backpack is ready to go and contains essential disaster preparedness supplies to sustain 2 persons for 72 hours during and after an emergency.